“I am appalled at the prospect of using water as a vehicle for drugs. Fluoride is a corrosive poison that will produce serious effect on a long-range basis. Any attempt to use the water this way is deplorable.” Charles G. Heyd, M.D., Past President, AMA. In our toothpaste, treatments as a children and even added to drinking water for adults and infants. Fluoride is in approximately 70% of all drinking water in the US. Over in Europe hardly any country fluoridates their water in fact less than 5% of Europe adds it at all. Wonder who’s making the commissions here in the US for selling it? Apparently many of our city governments feel they know better than the people do and forcibly drug them via the provided water supply. There are various filters etc available for removing the fluoride from the faucet and shower. If you’re showering with it then it is making it into your system. “I cannot find any public evidence…that the AMA, the ADA (Dental), or several other health agencies, now recommending the fluoridation of water, had done any original (“experimental”) work of their own. These groups were simply endorsing each other’s opinions.” Justice John Flaherty, Supreme Court of Pennsylvania, address, 1981. Fluoride is found in nature and some foods but in minimal amounts. We have zero requirement for fluoride as it is not a nutrient and no one ever got a cavity from a lack of fluoride. Cavities are a result of mostly refined and processed foods. Not because the teeth were not being fluoridated either by toothpaste or water. There are many effective toothpaste alternatives that include zero fluoride. Next week I will begin a simple contest and will be giving away 3 audio copies of my book Nutritional Truths! May the long weekend be a good one for you and please share this as you wish. Be well! 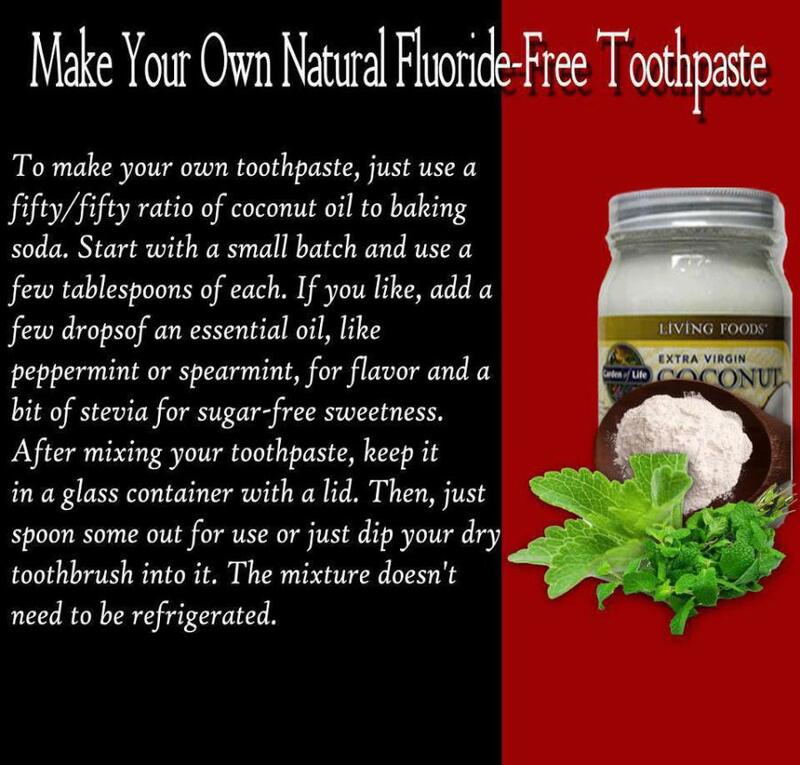 Make your own effective toothpaste!